Let’s take a social inventory. What kind of challenging people have you encountered? The narcissistic, passive-aggressive, hyper-critical, pretentious, or dramatic, among others? A big slice of these personalities are “unwinnable” because they are unempathetic, manipulative, and virtually incapable of change. Some are skilled at targeting our vulnerabilities in order to pursue their own pleasures and desires, regardless of harm. Make a decision to stop trying to win over the unwinnable! 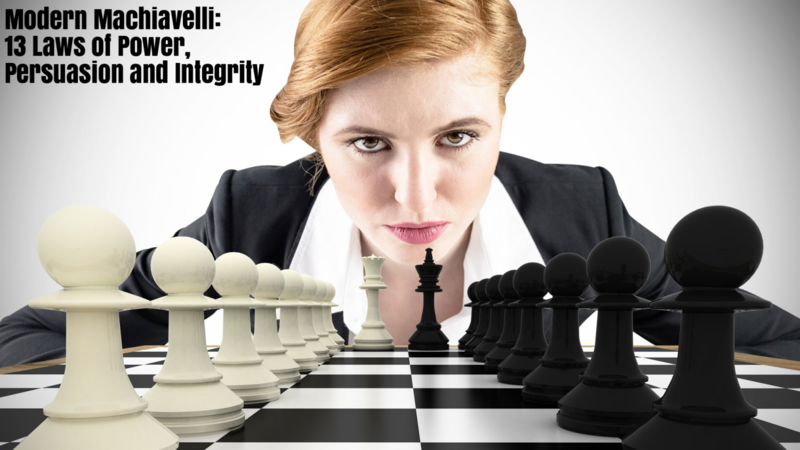 Now is the time for individuals of integrity to start winning! We assume that most people are well-intentioned until proven otherwise. This assumption is often wrong. Many people disguise their selfish intentions but outwardly appear to play by the rules of society. People rarely disclose socially unacceptable motivations such as greed, arrogance, fear or prejudice. Most people try to be rational and willing to compromise. Unfortunately, hidden agendas motivate some people to prefer winning at all costs over compromise. When honest and dishonest persons interact, the honest person can be at a disadvantage. Deception is sometimes difficult to detect and not realized until after damage has been done. Returning favors, cooperation, and other social obligations are based on expectations for reciprocity. A deceptive person might act reciprocally at first, only to later act selfishly. The ability to sense what someone else is feeling and imagine what that is like is required for compassion and concern. Moral individuals tend to consider the good of all, respect authority, and follow rules. They want to be liked and respected. Selfish individuals outwardly adhere to prosocial values when convenient, but opportunistically act selfishly at the expense of others. An idealistic person is prone to seeing gaps between how the world is and how it should be. An exploitative person will prey upon the hopes and dreams of an idealistic person. Checking these vulnerabilities is not enough. We need proactive tactics and skills to help us engage conflict and optimize success – with integrity. This can be very difficult because others do not always play fair. Our book, Modern Machiavelli, teaches you how to do it. What is the First Law about and what does it mean? From childhood, we are taught that life is like a two-way street where we can expect that our displays of niceness, fairness, favors, hard work, and respect will usually help us get along with others and contribute to social success. As adults, we become a little more skeptical and cautious. We know that not everyone plays by the rules. But if we are so cautious, why do we still get burned, disappointed or blind-sided when someone acts selfishly at our expense? It happens at work, in social groups and within intimate relationships every day – people pursue selfish interests at the expense of others. Suddenly we discover that we have been interacting with a someone person who does not reciprocate our honesty, loyalty, empathy or generosity. FALSE: It is selfish to prioritize your own self-interests. TRUE: Self-interest is NOT selfishness. Getting our needs and wants met is not selfish unless we harm others in the process. FALSE: If you’re a “good person” you must give and help others without thinking about your own self-interests. TRUE: You are a “person” too. In fact, ensuring your own financial, emotional and relational needs are met can ultimately benefit the ones you love. MYTH: Success results from reciprocity. If I am honest, loyal, generous and hard-working, I will be appreciated and acknowledged in some way. TRUE: Sometimes this is correct, but but selfish individuals will prioritize their own needs and hidden agendas over your goodwill and hard word. Correcting these hang-ups is not enough. We need proactive tactics and skills to help us engage conflict and optimize success – with integrity. This can be very difficult because others do not always play fair. Our book, Modern Machiavelli, teaches you how to do it.